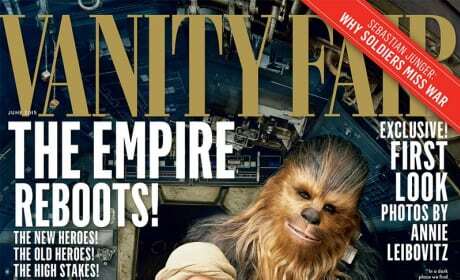 Vanity Fair has the stars of Star Wars: The Force Awakens on its cover. Harrison Ford leads the way as Han Solo. The Age of Adaline stars Harrison Ford and Blake Lively. The love story is in theaters now. 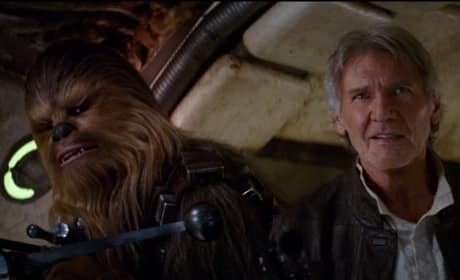 Han Solo and Chewbacca in the trailer for Star Wars: The Force Awakens. Harrison Ford is back as Han Solo. 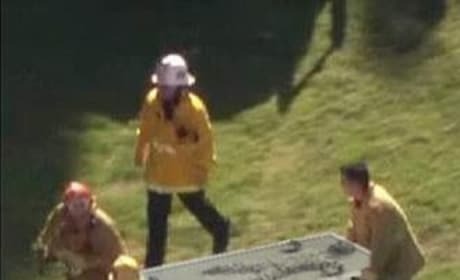 Harrison Ford is removed from the plane crash site in carbonite. Glad to hear he was OK. 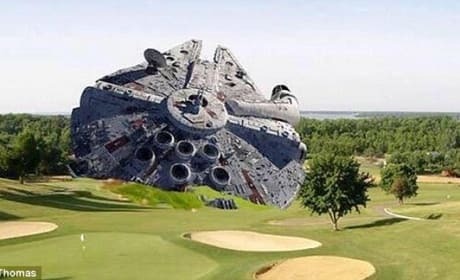 The Millennium Falcon crashes into a golf course? No, really Harrison Ford did it. A wookie co-pilot looks over the wreckage of Harrison Ford's plane crash. The Star Wars fans are having a ball with this news. 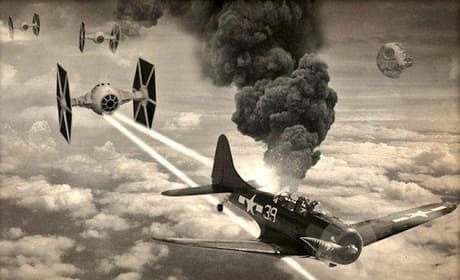 It was an empire fighter that sent Harrison Ford's plane to the ground! We knew it! Yoda tries to raise Harrison Ford's plane. Ford had a crash in real life. It's Boba Fett! He's the one who shot down Harrison Ford's Plane! Empire Fighters pursue Han Solo! 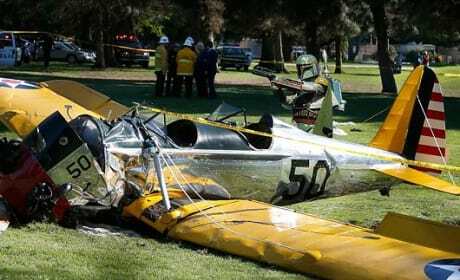 In real life, Harrison Ford had a plane crash. 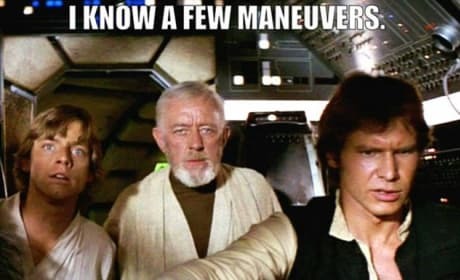 Harrison Ford knows a few moves that will help him crash land. 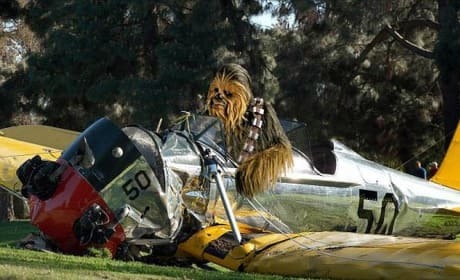 The actor is OK after crashing his plane. 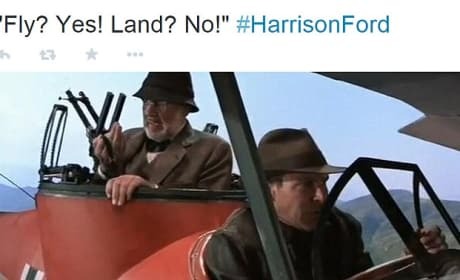 The Indiana Jones meme that pokes fun at Harrison Ford's plane crash. That's Sean Connery behind him. Harrison Ford is best known for Indiana Jones. But he's starred in other high-grossing movies, as well. We're big fans. 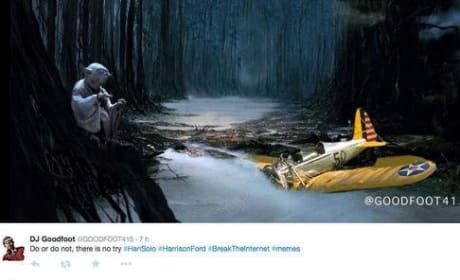 Harrison Ford Will "Fully" Recover: Internet Responds With Star Wars Memes! 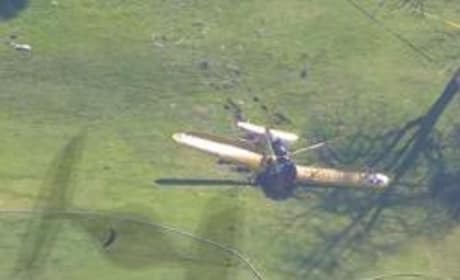 Harrison Ford Plane Crashes! Han Solo Lands on LA Golf Course!